ghd just released their limited-edition Festival range, and we’re already head-over heels in love. Inspired by the boho vibes of Coachella, this stunning selection of top-end styling products is exactly what we needed to kick off SS19 in style. Browsing through the collection, you’ll find a brand-new Platinum+ that’s been revamped with a stunning, rainbow-effect colour scheme that’s 100% festival-ready from the second you slide it out of the box. 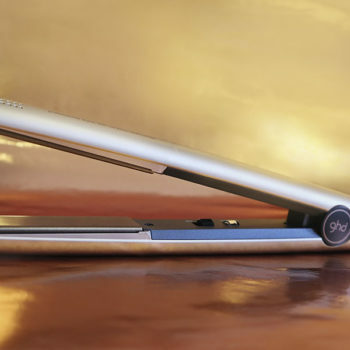 You’ll also find a fresh new take on ghd’s classic Gold stylers and a recoloured ghd air; with a pearlescent grille that’s subtle, but still glam enough to enchant everyone here at @TeamRegis HQ. These chic new tools are perfect for summer – and a great way to express your individuality – but they’re also fantastic styling tools in their own right. In fact, we think they’re essential kit for anyone that wants to experiment with bold new styles, or add a bit of salon-quality finesse to their look. 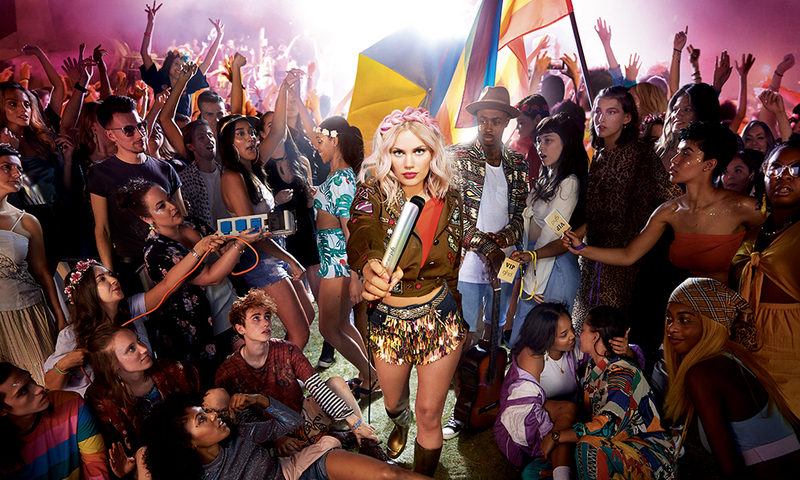 Don’t just take our word for it though: We’ve profiled each and every item in ghd’s Festival collection right here, so that you can see exactly what’s on offer. The Platinum+ Festival is much more than just a pretty face though. In fact, this is probably one of the most advanced styling tools in the world, ft. a whole host of advanced technologies that are designed to protect and nourish your hair while you straighten. Straight out of the box, you can just tell that these straighteners are in a league of their own. 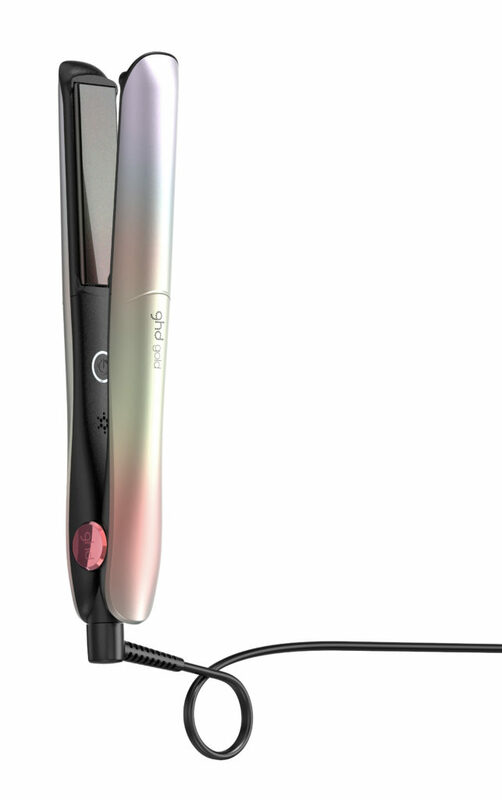 The gently contoured barrel, the autre-sophisticated wishbone hinge and the gorgeous, glittery styling plates leave you with absolutely no doubt about the fact that you’re holding a professional styling product. If you’re looking for something that’ll bring the salon into your own home, a pair of Platinum+ straighteners is just the ticket. 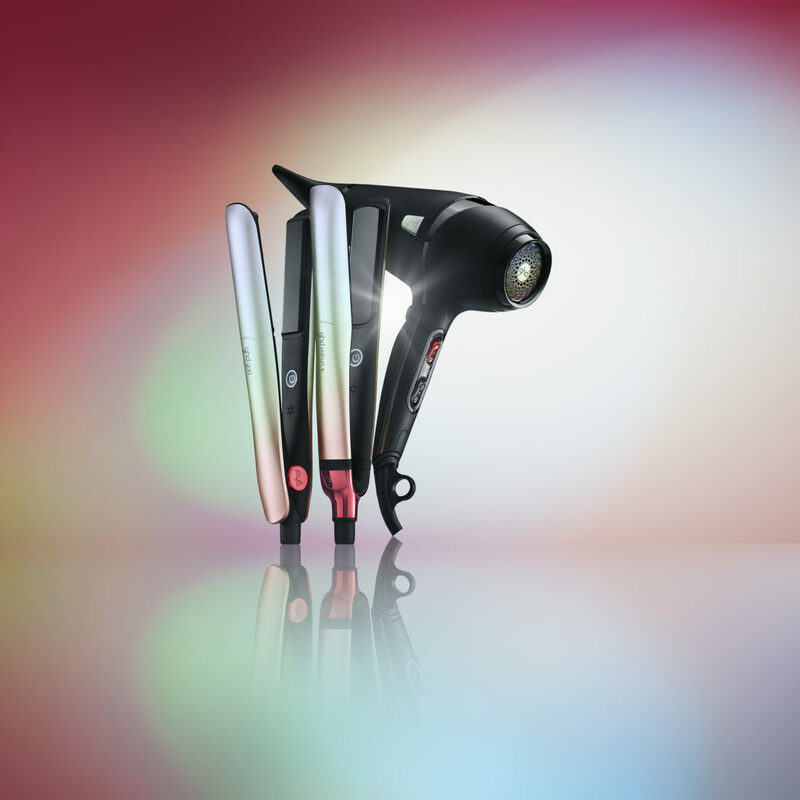 These gorgeous straighteners are a joy to use too: They’re predictive, which means that they use an array of sensors to anticipate the thickness of your hair – and the speed you’re styling at – so that they can adjust the power output accordingly. The Platinum+s also feature ghd’s unique Ultra-zone technology, which monitors the temperature of your hair 250 times a second; allowing your straighteners to make minute adjustments that’ll ensure your hair never gets too hot (or too cold). They produce salon-quality results every time, and they also straighten far faster than your average straighteners. 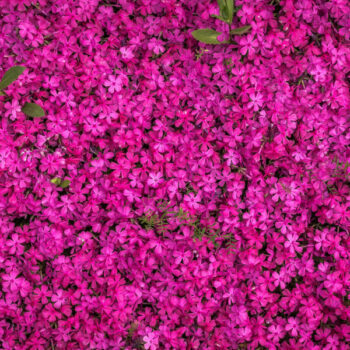 We find that our hair is pretty much perfect after the first pass, and the glossy, salon-fresh sheen is second to none. Because they’re packed full of predictive technologies, they’re also one of the few straighteners that you can use without worrying about baby hairs, or thick curls. They fine-tune themselves to ensure even and consistent results on every type of hair and they are – without a doubt – our favourite pair of straighteners. Oh, and that round barrel? Tailor-made for waves, soft curls and other beach-ready styles. In fact, we find that the ghd Platinum+ works almost as well as a dedicated curling iron, which is perfect if you’re going to be trialling some of this summer’s hottest hairstyles. In short? The Platinum+ is basically tailor-made for summer 2019, and this new revamp couldn’t be more on-trend. Whether you’re looking to upgrade your old straightener or just try something new, we’d highly recommend that you take this coachella-themed marvel for a spin. The precision-milled styling plates are an absolutely indispensable feature. They’re made of ceramic, which means they won’t build up a static charge (or frizz up your mane) and they’re super smooth too; allowing them to glide through thick or even curly hair without snagging your strands. More importantly, the gold’s precision-milled styling plates provide a salon-quality finish that’s all-but-impossible to replicate with your average styling wand. If you’re looking for sleek and glossy hair that’s consistently mirror-smooth, you absolutely have to bag a pair of these straighteners, because those ceramic styling plates really are second to none. The Gold’s Dual-zone technology is nothing to be sniffed at either. It uses two carefully-calibrated heat sensors to constantly monitor the temperature of the styling plates; keeping the heat at an even 185 degrees at all times. 185 degrees is the optimum temperature for styling hair; providing enough heat to break down the hydrogen bonds in your hair, without causing excessive damage to your strands. 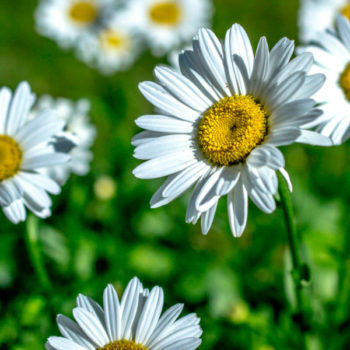 Keeping the heat even and steady also means that your hair’s cuticle layer will open less; protecting your strands from becoming frizzy and disorganised the second you walk out of the front door. So, if you’re looking to upgrade your styler and you don’t want to break the bank, a brand-new pair of Festival Golds may well be the perfect choice. 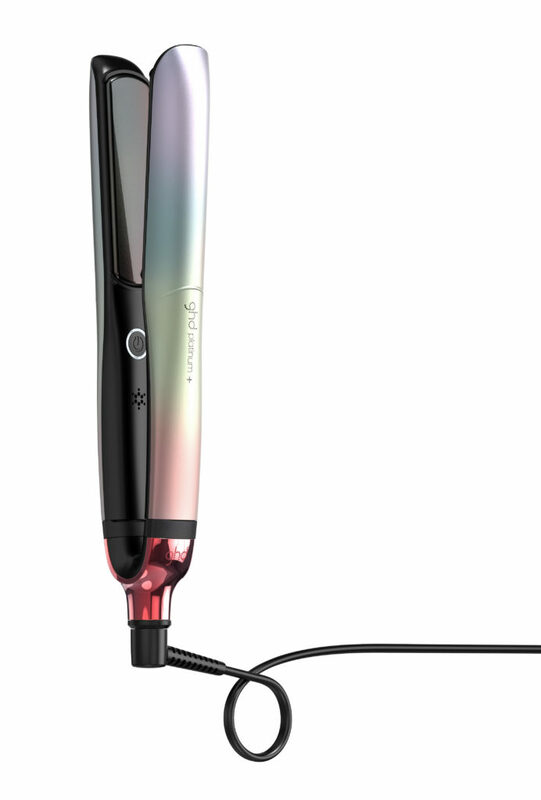 These gorgeous straighteners certainly look the part too; boasting a pearlescent, rainbow-effect barrel inspired by Coachella boho-chic vibes. Coupled with a neon-red hinge, this vibrant recolour is bang on trend for SS19, and we’re confident that we’ll see the new Festival Golds popping up all over instagram. 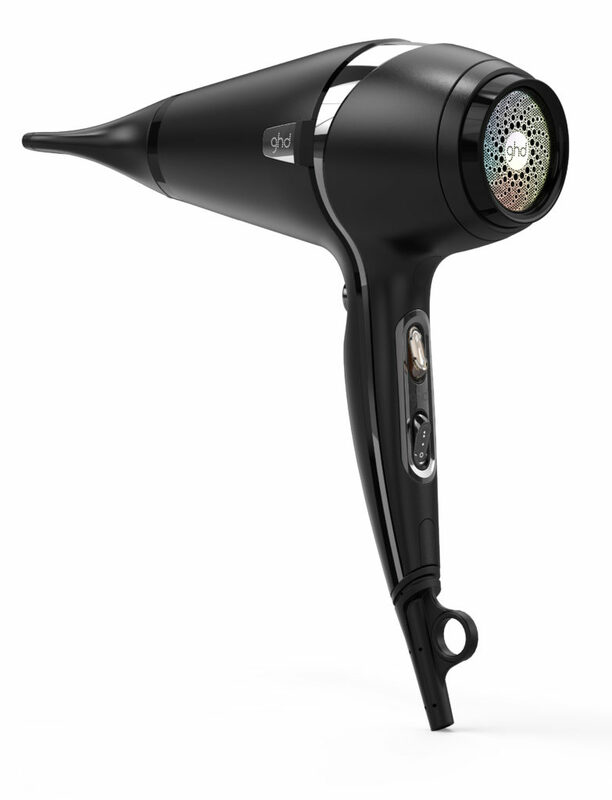 The Air was designed for professional stylists, and boy does it show. This beautifully ergonomic hair dryer has a 2,400 watt motor that’s designed to dry hair twice as fast as your average hair dryer. The Air also has a handy cool shot button that’s perfect for locking in your style, and a professional-length, 3m power cable and a set of variable controls that give you complete freedom over your blow drying experience. Better still, the Air boasts powerful, ionizing technologies that are designed to cut down on frizz, and protect your hair from the heat. These technologies are what really sets the Air apart. They leave your hair with a beautifully sleek and glossy finish, and they also help to protect your strands from damage; locking in the pigments from colour treatments, and boosting the overall health of your locks. In short, ghd’s Air is the ultimate hair dryer. If you’ve been searching for that little extra something something – or just want to achieve that salon-fresh look from the comfort of your own bedroom – you know where to look. This revamp of the Air has a gorgeous aesthetic too. It trades in the bold, rainbow design of the Platinum + for a more understated, all-black vibe -with a subtle pearlescent grill that ties it back into the Festival collection’s boho look. It’s a perfect match for dancing queens and regal divas, which makes it an SS19 essential in our eyes. Excited to shop the collection? You’ll be thrilled to hear that ghd’s Festival Collection is live on our site right now. You’ll find the Platinum+, Gold and Air right here, alongside a whole host of regular ghd styling tools. Don’t forget that you’ll benefit from FREE Next Working Day Delivery on all orders over £50. You can also order items from the Festival Collection at selected Regis salons, but make sure you call ahead to check that your chosen tool is in-stock. This is a limited edition range, and we don’t expect them to be available for long. Are you ahead of the game and already bought yourself a styler from the ghd Festival Collection? Show us your creations using your new styling tool by tagging us @Regisuk so it shows up in our feed.